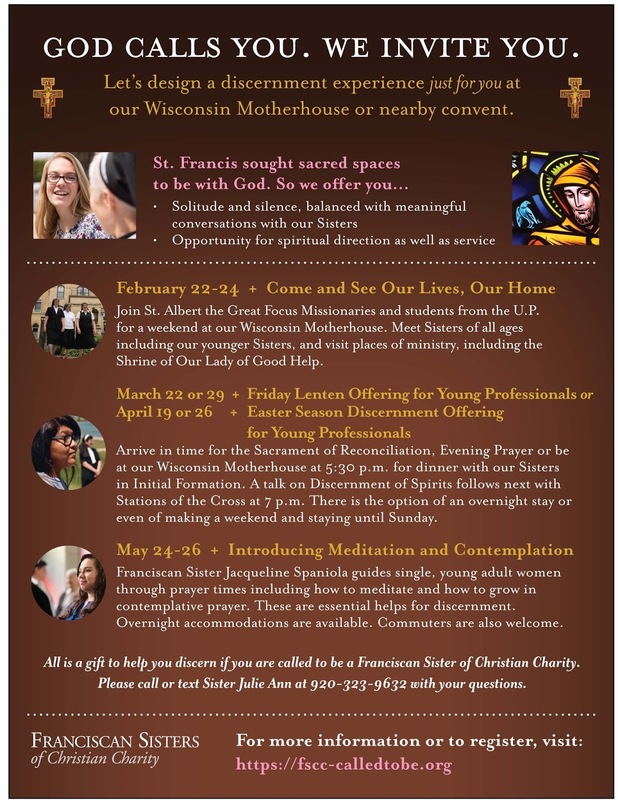 Are you a young adult Catholic woman considering Franciscan life? 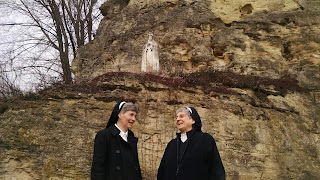 Franciscan Sisters of Christian Charity invite you to read about some discernment possibilities for 2019. We hope you find written between the lines our sincere desire to design discernment experiences that answer your questions. 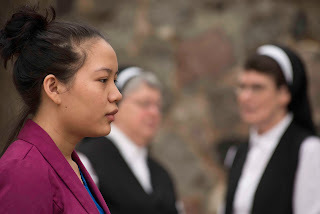 May they also be a step in moving from discernment to action in following God’s will. We realize that your questions are based on honest soul-searching. 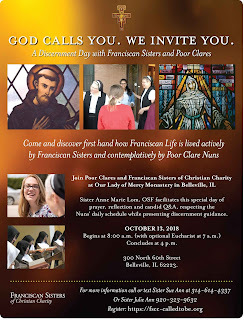 For a young woman who is serious about Franciscan life, one on one time with us is the best choice. Find also age-sensitive weekends. A young professional is at a different point in her life, than someone in the first years of college. We respect your experience. 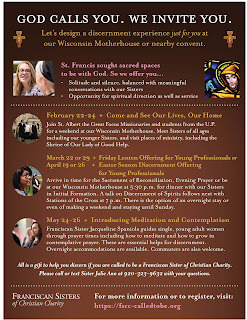 If this sounds at all helpful, call/text 920-323-9632 to talk to Sister Julie Ann or contact us here. May the Lord bless you!